After the last Repricing Central feature update in September, we have received a lot of great feedback and feature requests from our users. In response to your feedback, we have implemented several improvements in our latest Repricing patch! This Repricing Patch addresses most of the user requests on the Profit Calculator and listing management. The key changes are aimed to improve the usability of Profit Calculator on inactive listings and provide more options of sorting the listings. Let’s take a look at these features! On the manage listings page, users are able to sort listings by clicking the top columns. The new patch allows you to sort not only by SKU but also by Status, Title, Fulfillment and Offers. For example, by clicking Status, Manage Listings page will display Active listings before Inactive listings. In addition, by going to Preference, users can choose the columns that they want to see and customize on the Manage Listings page. The Save All button has been moved into the blue description bar. In addition, the placement of the save column can be adjusted from your preferences. You can choose to display the save column on the left, middle, or right side of the interface. Est Profit % in the Profit Calculator has been renamed to Est Profit Margin. Moreover, ROI ((Est. Profit / Cost) x 100) has been added to the Profit Calculator as many users suggested. 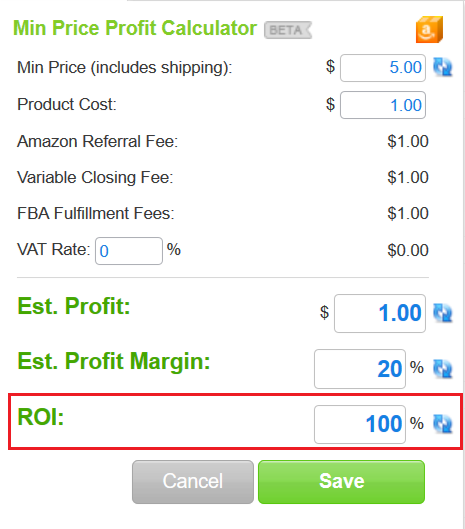 Both Est Profit Margin and ROI are now available on the Profit Calculator so that users can estimate margins based on the one that best suits their needs. One notable change is that there will be a new row to manually enter shipping for Inactive listings. 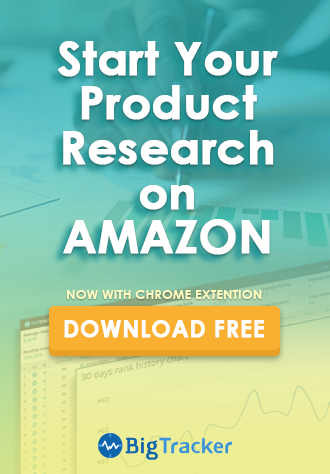 Previously, users were not able to use Price Calculator for Inactive Listings as we cannot receive the shipping fee data from Amazon for Inactive listings. Now by manually entering shipping costs, the Profit Calculator will work for Inactive listings as well. We hope these feature updates will make our interface more user-friendly for our customers. 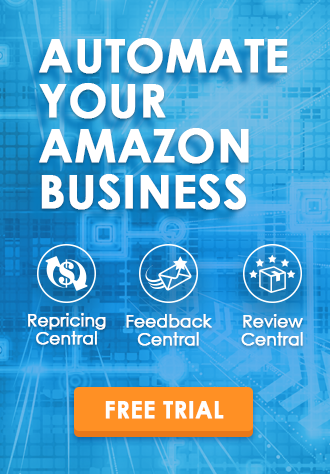 If you haven’t tried out our Repricing Central yet, you are welcome to sign up for our 14-day free trial. If you are already a BQool user and have any feedback, please feel free to contact us via email, live chat or Facebook. We would be happy to hear from you!